When the Farmers Almanac uses words like “numbing cold” and “chilled to the bone” on their 2017 Winter Outlook map, you know Madison and Milwaukee are both in for a whopper of a winter. And while we hate to be the bearer of bad news, when winter is again predicted to be a beast, it’s necessary to be prepared. But even in trying to protect your home against the damages that come with frozen pipes, pipe bursts happen. And that’s when you need to respond–and fast. Despite your best efforts–or maybe just best intentions– pipes freeze and burst. Now what? 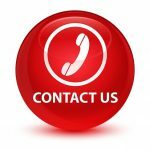 Contact a water damage restoration service: In the event your walls, ceilings or flooring are damaged by water, you may need to contact a water damage professional to help remove the water, dry the air, and prevent mold and mildew from forming in your home. Record the damage: Take photos and write down personal items and structural areas of your home that have been damaged by the burst pipe. This will help in your claims process, making sure you receive the proper reimbursements necessary. Contact A&J Specialty Services DKI for your emergency water damage restoration service or sewage cleanup services today! A&J Specialty Services Inc DKI provides 24/7 emergency water damage restoration, sewage clean up, and emergency fire and water restoration for homes and businesses around Madison, Middleton, Sun Prairie, Waunakee, Milwaukee, Brookfield, WI Dells, Fort Atkinson, Watertown, Oconomowoc, Waukesha, West Allis, and surrounding Dane County Wisconsin areas.